Sade-philes may take delight in the fact that two of her band members will form part of the musical ensemble at the annual Nile Gold Jazz Safari on Friday October 4, 2013 at Kampala Serena Hotel. 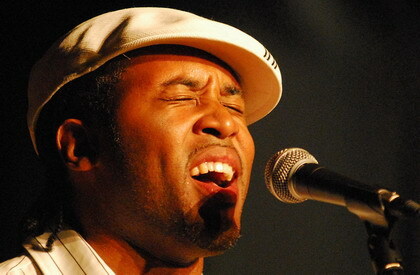 Tony Momrelle (background vocals) and Karl Van den Bossche (percussions) arrive in Kampala on Wednesday October 2, 2013. They were part of Sade’s 2011 Bring Me Home Live tour to promote the reclusive British chanteuse’s 2010 Soldier of Love CD. The duo’s Ugandan itinerary includes a media conference on Wednesday morning at the Serena’s Turaco Hall and a Jazz Safari Workshop/Q&A/Jam session later that day at Jazzville, Bugolobi from 7pm. This entry was posted in Uncategorized on September 29, 2013 by kampala1ne. 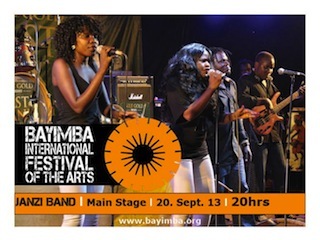 At its debut in 2008, Bayimba International Festival of the Arts attracted a paltry 60 culture vultures that nibbled on the three-day showcase held at the Kyadondo Rugby Grounds. Six editions later, the festival has positioned itself as an arts fete that draws in the purists and curious alike. Rumour has it that last year pulled a mammoth 100,000 goers streaming in and out of the National Theatre gates, enduring the discomfort of the tarmac to soak up haute culture of the non-Ekiggunda kind. This year may have fewer big name international acts but it’s still offers a good chance to savour indigenous acts that have mostly flown beneath the radar but are worth their weight in arts gold. Here are our festival picks for this year. The consensus is that they should have won the recent Nile Gold Last Band Standing contest had it been more about the music and not the beer. 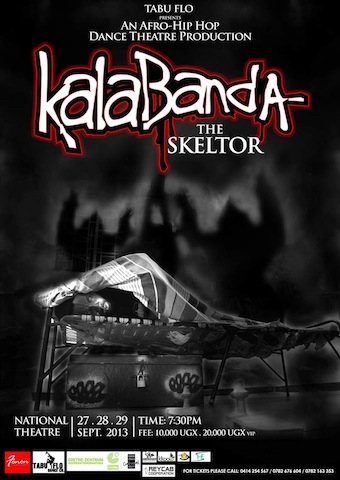 This band that gigs thrice weekly at Zone 7 (Wednesdays), Boda Boda (Thursdays) and Club Venom (Sundays) boasts a unique Afro-pop style that trademarks it from its band peers. Band front man James Ssewakiryanga uses his irresistible energy and mastery of Uganda and East Africa’s rhythm percussion and traditional instruments to present a world-class cultural experience of Afro-fusion music. The sound of the Akoogo, Adungu, Entongoli, Endigiddi, Amadinda, Calabash and Engoma fuses with the guitar, saxophone, keyboard and the drums to come up with an authentic Ugandan ethnic rhythm rooted heavily in folklore. Buoyed by the ideology that “the world speaks the same language of music” the band hopes to bait new converts with its soul and traditional rhythm repertoire. Kenneth Desire Tereka, an immensely talented dance prodigy started Yuttah Konvict Society in 2007 to pave the way for other young dancers like him who were being stifled by industry veterans of the day. Despite rarely getting opportunities to learn or perform the contemporary dance genre, they were spurred on by their love for dance inspired by the tales of convicts in Luzira prisons. Yuttah Konvictz uses dance as a basic means of communication with the influence of props and other accessory usage to advance character analysis or role imposition. This allows the dancers to express there emotion, empathy and acting while explaining the theme through highly imaginative dance expressions. Performance execution usually includes various activities like singing, poetry, abstractness and visual artistry during the performance execution and ever since its conception they do. This entry was posted in Uncategorized on September 22, 2013 by kampala1ne. This [September 6-8, 2013] weekend holds a lot of promise for the culture vulture with two not-to-be-missed treats at the National Theatre. Alumni of Namasagali College come together to relive their high school heyday when the “Sagali Production” was all the rage providing more than just an escape from upcountry Kamuli for a much needed weekend in Kampala. Back then, the annual trek also provided upper-palate Kampalans a chance to watch hybrid performing arts that fused fairy-tale drama with creative dance. It was head teacher Father Damian Grimes’ holistic education approach to making his students stand out from the rote-learning crowd a la elocution and poise skills that would stand them in good stead later on in life. That Golden Age lasted a quarter-a-century from 1978 to 2004 when the curtain fell on the last “proda” as they were famously known amongst Sagali contemporaries. The [Nile] riverside railway-port-turned-school maybe a shadow of its former classy red-frock-mini self. But in putting on Any Cow Will Do this Friday (one show only at 7pm), the alumni are living up to the “Striving Regardless” school motto while lavishing Father Grimes with charity that will fundraise for the aging padre’s educational interests. 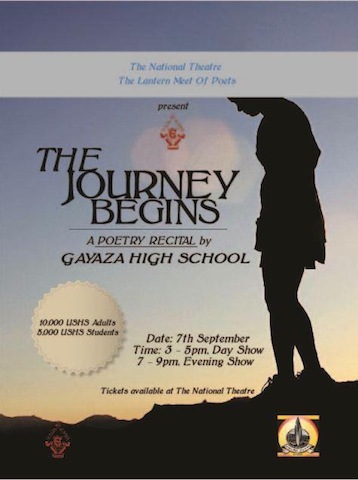 The following day [Saturday 3pm & 7pm], the nubile damsels of Gayaza High School wax lyrical with a poetry recital that will mark their foray into the spoken word genre that is spurring a renewed interest in the literary arts. 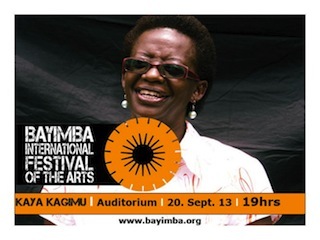 The Journey Begins will set you back by UGX10K if you are 18+ and for that pocket friendly fee, it should be a fun and intellectually stimulating experience from the elite school that gave us among others Uganda’s only two-time First Lady Mama Miria Kalule Obote. This generation is not that lost hedonistic MTV-watching bunch after all. Glad that they are doing poetry beyond a means to scoring high examination marks. Of course the loudest applause goes to the Lantern Meet of Poets that continues to sow these literary seeds, first in Nabisunsa and now in Gayaza. There had better be an anthology for collectors to carry away. This entry was posted in Uncategorized on September 5, 2013 by kampala1ne. Having laboured to steer a rookie photographer beyond airbrushed point-and-shoot portrait photography, I wish I had expended that energy on pushing the agenda of this bunch of focused and self-driven photographers instead. 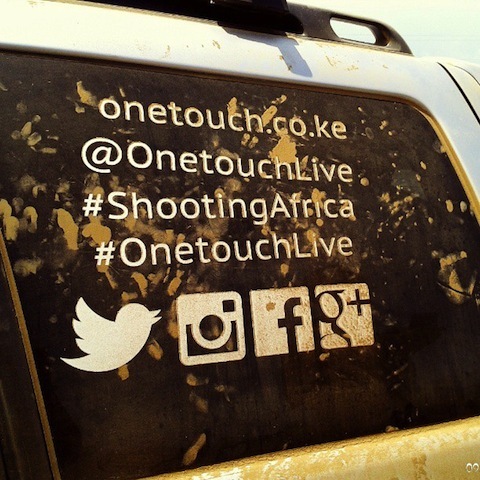 This entry was posted in Uncategorized on September 1, 2013 by kampala1ne.